A hip-hop influenced album featuring husky interludes from Australian actor Ben Mendelsohn might have implied something akin to Logic’s The Incredible True Story, particularly given the detailed virtual reality constructed by Gorillaz over the years. A series of live interviews and an app showcasing the new Gorillaz house gave fans the context they’d been craving in the band’s 7-year absence, but anyone expecting a full-scale return to 2D’s melancholic vocals or a coherent narrative will be disappointed with this record. Perhaps that’s to be expected for an album based on the chaotic premise of a “party at the end of the world”, a messy genre-bending fusion of trip-hop, alt-rock, reggae, and electro-punk, among many others. Albarn’s tireless mission to incorporate more and more of the industry's talent foregoes the subtleties of an album like Demon Days that maintained some sort of multiplicity within thematic constraints, as seen in “Kids with Guns”, “O Green World” and “Hong Kong” (D-Sides). Rather than a steady progression from disquieting post-apocalyptic tracks like “Carnival” to the vibrant showstopper “Circle of Friendz” we’re left with an almost violent hodge-podge of songs that all seem to recycle the same points. That the album might have been overworked is most evident in “Momentz” - De La Soul, the eclectic New York-based rap trio that joined Gorillaz for “Feel Good Inc.”, are all but swamped underneath an arresting robotic beat that picks up in the last minute or so but remains largely monotonous. All in all, Humanz is a mixed bag. Comments on the dangers of technology, police brutality, political fragmentation, and dehumanization are punchy but often well-hidden within optimistic psychedelic pop riffs. 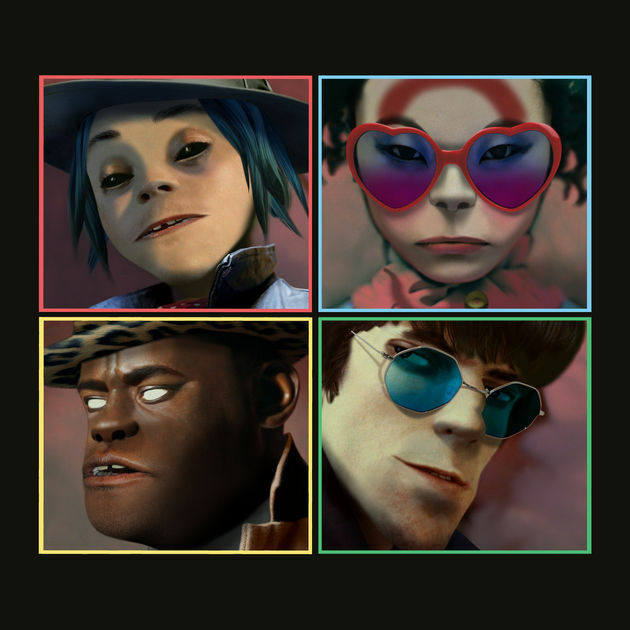 The album certainly fits with the Gorillaz’ tendency to leave us feeling tentatively optimistic whilst still maintaining a characteristically bittersweet sound. Whether or not they’ve lost their way is left for the individual listener to judge, but if this does turn out to be the last we see of Gorillaz then at least they’ve chosen to go out with celebratory, companionable flair.